Dimensions 1.11 by 6 by 9 in. Amazon.com description: Product Description: The book, also known as Darwin's Journal of Researches, is a vivid and exciting travel memoir as well as a detailed scientific field journal covering biology, geology, and anthropology that demonstrates Darwin's keen powers of observation, written at a time when Western Europeans were exploring and charting the whole world. Although Darwin revisited some areas during the expedition, for clarity the chapters of the book are ordered by reference to places and locations rather than by date. 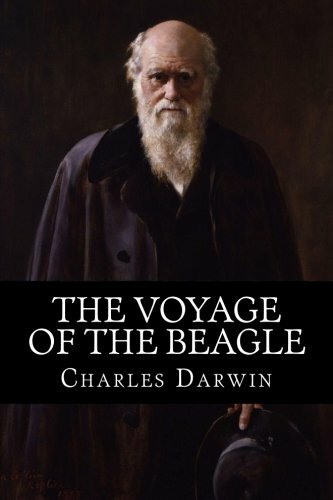 Darwin's notes made during the voyage include comments illustrating his changing views at a time when he was developing his theory of evolution by natural selection and includes some suggestions of his ideas, particularly in the second edition of 1845.